We deliver value, quality and reliability for our healthcare customers to maximize their BMD productivity, reduce risk and support regulatory documentation. Hospitals, imaging centers, and physician offices count on our nationwide network of certified and trained field service engineers, who focus on the BMD modality to maximize your investment and uptime. Whether you typically rely on the OEM, an ISO, or have an in-house maintenance team, we have a service offering that meets your needs including full service, preventative maintenance, and repair parts and service to help keep your bone densitometry equipment at OEM levels of performance. We offer 3 different service plans to meet your needs in a cost-efficient manner. Our service plans are designed with comprehensive preventative maintenance to assure your system and documentation meets accreditation standards, and is performing optimally to maximize patient uptime. 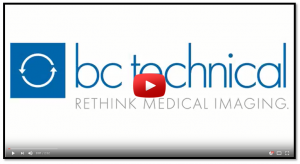 BC Technical provides OEM parts to keep bone densitometry equipment running at factory levels. Our just-in-time (JIT) capability results in next-day service on most parts shipments, even hard-to-find parts. We stock the replacement parts you need for timely repairs performed either by your in-house biomed technicians or by our nationwide team of highly trained field service engineers. This facilitates the fastest timeframes to return your equipment to good working order with minimal disruption to patient scheduling. Our Electronic Data Interchange (EDI) makes it easy to order parts. We offer streamlined parts ordering processes that consolidate multiple purchase orders into a single electronic transaction. Our expert customer service representatives help you cross- reference OEM part numbers, assist with part identification and answer questions on parts availability and alternatives.